Wacom’s Cintiq line offers a digital interface with a pen-and-paper-like feel — for a price. However, the latest addition to the creative pen display lineup comes at more of an entry-level price. The Wacom Cintiq 16HD, introduced during CES 2019, brings the pen display to less than half the price of the pro version while still using some of the same features. 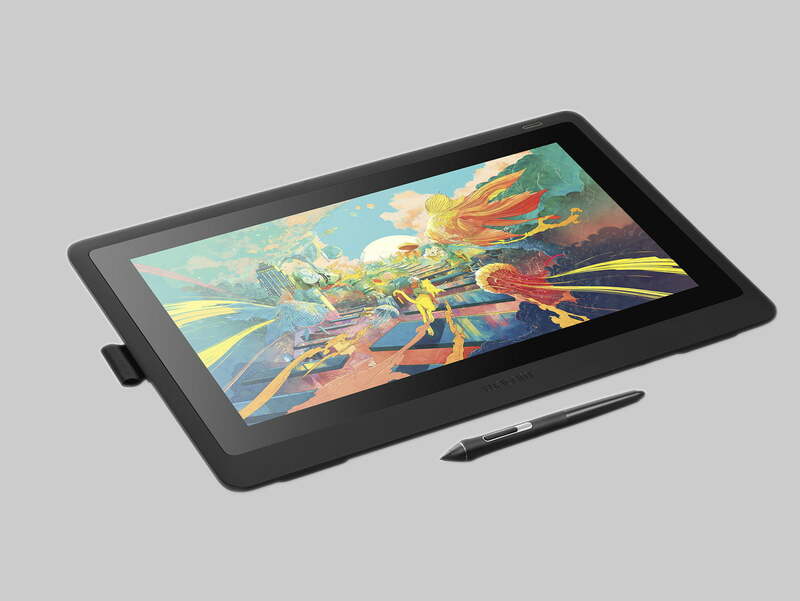 Wacom says the new Cintiq 16HD still utilizes the company’s Pro Pen 2 technology, which has 8,192 levels of pressure sensitivity along with tilt response for precise pen work. Like other Cintiq pens displays, the pen uses Electro Magnetic Resonance, which means it doesn’t require a battery, while the display uses a three-in-one cable. The company says the pen display also has a similar build quality to the pricier pro version. The Cintiq 16HD uses a 1,920 x 1,080 HD resolution on the 15.6-inch touchscreen. The display is rated for a 72 percent NTSC color with 16.7 million colors. The screen has a 176-degree viewing angle and an anti-glare coating to allow using the screen to feel more like working with paper, the company says. Like others in the Cintiq line, the Cintiq 16HD is compatible with both Mac and Windows. Folding legs allow the display to be used flat or at an angle. The Wacom Cintiq Pro 16, in comparison, offers 4K resolution and a 94-percent Adobe RGB rating among other high-end features, but lists for $ 1,500. The new Cintiq 16HD creative pen display will go on sale this month, with an expected list price of $ 649. Facebook Tried to Rein In Fake Ads. It Fell Short in a California Race.